A mechanical ventilator has become an essential tool in all households. This is because modern houses are airtight. Most houses are fitted with HVACs as result to prevent the breeze (cool or warm) from blowing out of the house a good layer of insulation is mandatory. But there is a need of ventilation as well. Fresh air should get inside replacing the stale air. Mechanical ventilators are broadly of two types HRVs and ERVs. They can be called noses on houses. These have two fans, one pulls the fresh air from the surrounding and the other throws our stale air. Beside this both transfer some of the heat between outbound and inbound air stream according to the need of the season. ERVs also transfer moisture between the air streams. To get best efficiency from these systems, they should be installed properly. Ducting is an important part of installing HRVs and ERVs. There are three ducting options in HRVs- fully ducted systems, simplified systems, and exhaust ducted systems. These have dedicated ducts through which pull out stale air from bathrooms, kitchen and washing rooms. The fresh air is supplied in living rooms and bedrooms through another dedicated duct. 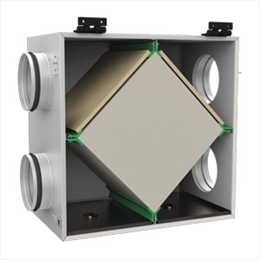 This duct system is best for ventilation systems. The exhaust air and supply air are delivered exactly where they should be. The ventilation ducts in this case are completely separated from heating or cooling ducts. They are easier to balance. They consume less energy compared to systems where heating and cooling ducts are used by ventilation systems. The houses which already have ducts for heating and cooling units tend to use them as well for ventilation. This cuts down the cost of installing ventilation systems to a great extent. 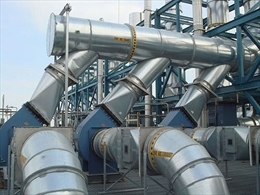 In this the exhaust air is pulled out from the main return duct of the forced-air system. The fresh air is supplied into the same duct a few feet downstream. Some specifications should be maintained for installing simplified systems. In such a system the juncture where the fresh air duct meets the return air duct should at a distance of at least 10 feet from the furnace. The exhaust-air connection should be at least 3 feet upstream to the fresh-air connection. A simplified system needs an electrical interlock to turn on the furnace fan whenever the HRV/ERV is operating. If it is not done then the fresh air could flow backwards, towards the exhaust air. However the energy cost of such system is high on account of continuously running furnace fan. An exhaust-ducted system is a mixture of fully ducted systems and simplified systems. That is why they are also called hybrid system. They have a separate exhaust duct work like a fully ducted system. But it dumps the fresh air into the main return duct of the forced-air system. Ducts for HRV or ERV should be as short and direct as possible, with a minimum of elbows or other fittings. The joints should be sealed with mastic or HVAC tape. Ensue that ducts have large diameter to allow greater airflow. This will provide noiseless operation. Reduce the diameter only at "take offs" to rooms close to the final ceiling terminal outlet / inlet.